The State Judging for all the CWA Contests will be held on July 25, 2009 at Good Will Grange Hall in Glastonbury. (43 Naubuc Ave., Glastonbury, CT 06033). Entries must be at the hall between 9:00 and 10:00 A.M. so that judging can begin at 11:00 A.M. We are asking that the entries remain in place until after the social hour, so that everyone will have a chance to see them. Just a reminder- the Needlework must be judged at the Pomona level prior to the state judging. All Pomona first place winners will be sent to the State Judging. 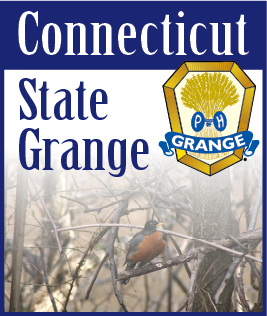 First place State Needlework winners will be sent to the New England Grange judging at the Big E in September. The Baking Contest, “Purr-fectly Delicious Banana Cupcakes” are judged only at the Subordinate and State levels. Enter 3 cupcakes on a disposable plate, labeled with name and Grange and indicate if adult or youth. Entries will be returned, unless indicated that they can be used for refreshments. If anyone would like to donate extra cupcakes for refreshments they will be gratefully accepted. We hope to have a nice display of dolls for our new “Dress A Doll” contest. All entries will be returned. Be sure the doll is labeled with your name and Grange. Our Craft contest always yields many unique and lovely items. Remember, this year, we have an entry blank that should be filled out for each item. All adult entries become the property of the State CWA and will be sold at the Big E or used for dignitaries’ gifts. Youth entries will be returned to the contestant. This is the second year for our Scrapbook Contest. Show off your talents and enter this fun contest! Remember to fill out an entry blank (available from your CWA chairman) and attach it to your entry. SAVE THE DATE! LET’S CELEBRATE!